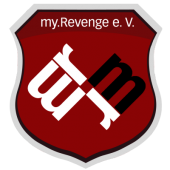 Hey guy we start the 2016 season this week with our first match for the ESEA League - myRevenge USA squad. Stay tuned for some more updates on the date and times for the matches with the new roster. I will also be playing again.. Thank you guys for the continued support. Tonight we have another match on ESEA at 8:00pm Central standard time: Here is the link to the match information and HLTV if you guys would like to come and watch. https://play.esea.net/teams/101595 https://play.esea.net/index.php?s=stats&d=match&id=6067828 Thank you for your support!!! Match 3:1 for CEVO-Main now live. I like it. Let's GO!!!!!!! Happy Monday everyone and let's make it a productive week with lots of gaming. Hey guys I hope you guys had a great holiday. Happy new year - 2016 and here we go with the new season for myRevenge in the following leagues: Cevo- Main : http://cevo.com/event/cs-globaloffensive/roster/855712/ We are into our 2nd match and here are the results. We will work hard to get to that goal and thank you for the support. Well I do not know what you said since we do not speak the language. But according to google translate, I'm not sure how to comment.